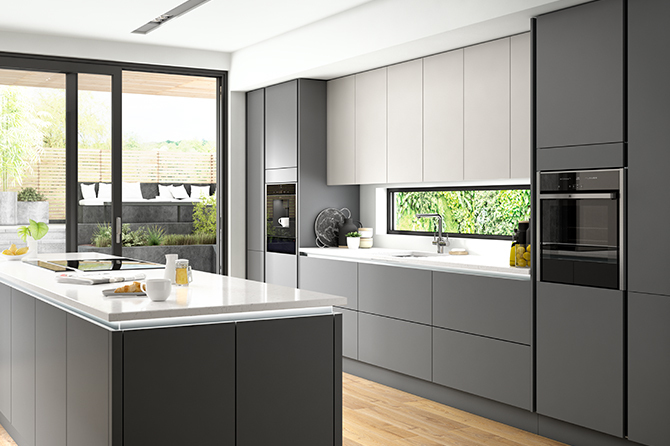 Our new True Handleless kitchen designs captures the current trend for uninterrupted lines, minimalist styling, and a clean uncluttered look. 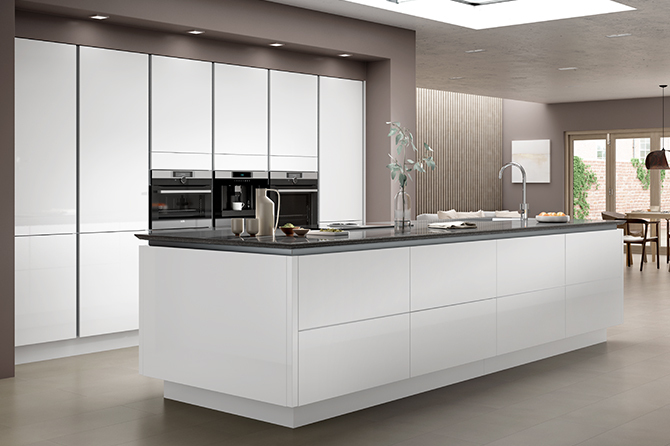 At the heart of this look is our custom cabinet system, with specially pre-cut base and wall units, to accommodate the sleek, brushed aluminium finger rails. 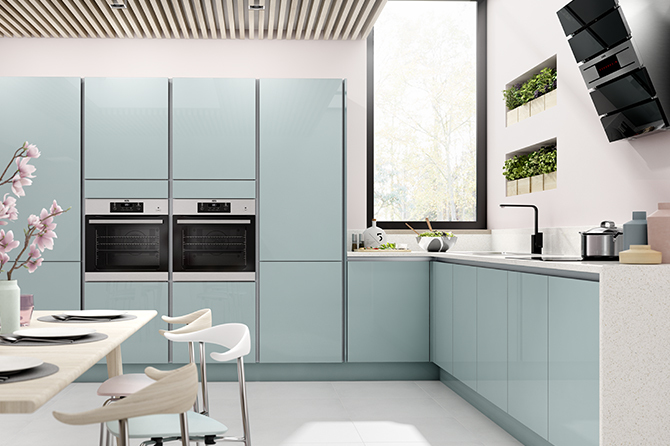 Our Handle-free range is available in a number of colour and finishes - try to mix and match these elements in your kitchen project. Blocks of base or wall cabinets can be contrasted - islands and peninsulares provide a great opportunity to combine colourways. Tall units use a vertical finger rail system to maintain the simple, clean lines of our handle-free cabinet system. 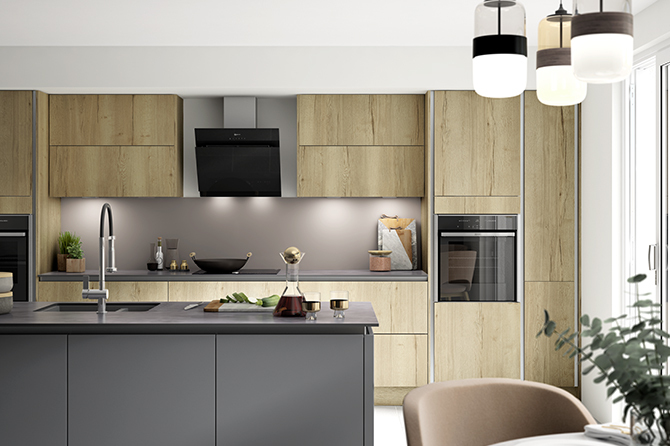 Our full range of integrated cooking and cooling appliances are also available. A complete working kitchen can be built into feature island cabinets - this one includes cooking, extraction, refrigeration, dishwashing, an integrated sink and cabinet storage. This is perfect for under-counter LED feature lighting shown here with our Apollo Quartz, Calcutta Gold - this can also be combined with our 12mm Zenith Compact Laminate worktops for an eye catching design statement!